Fausto Guzzetti is a senior research scientist for the Italian Consiglio Nazionale delle Ricerche (CNR), and from March 2106 is the Director of the Istituto di Ricerca per la Protezione Idrogeologica (IRPI), of CNR. From December 2011 to November 2015 he was Director of the Istituto di Ricerca per la Protezione Idrogeologica. From November 2015 to February 2016, and from September 2009 to November 2011 he was deputy Director of CNR IRPI. Form April 2009 to May 2010 he was responsible of the Gruppo Nazionale per la Difesa dalle Catastrofi Idrogeologiche (GNDCI) of CNR. From February 2012 he is a member of the High Risks Committee that advices the Italian Prime Minister. From 1992 to 2002 he coordinated the CNR GNDCI AVI project, producing the largest organized collection of information on historical landslide and flood events in Italy. He has participated to a number of European research projects, including Damocles, E2-C2, Eurorisk-Preview and RiskAware. 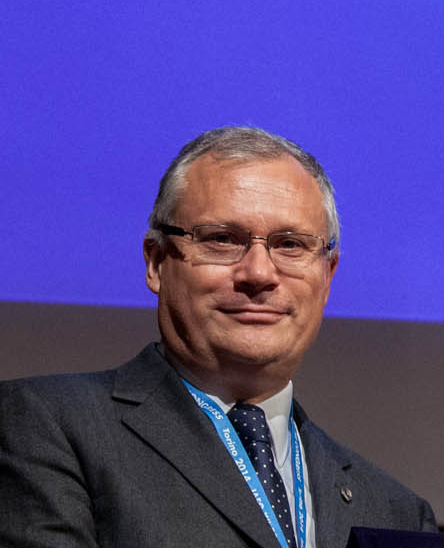 He was the PI of the MORFEO project, of the Italian Space Agency (ASI) for he exploitation of remote sensing data and technologies for landslide identification and mapping, for landslide monitoring and forecasting. He was the PI of the FP7 project DORIS: Ground Deformations Risk Scenarios: an Advanced Assessment Service, and he is the PI of the FP7 project LAMPRE: Landslide Modelling and tools for vulnerability assessment Preparedness and Recovery management. For the Italian National Department for Civil protection (DPC) he coordinated a project for the design and the implementation of a national-scale landslide early warning system, and for the evaluation of landslide risk in Italy. A founding member of the European Geosciences Union (EGU), for five years he was president of the EGU Natural Hazards Division. He was an editor and the executive editor for the journal Natural Hazards and Earth System Sciences of the EGU. In 2007, he received the Distinguished Leadership Award of the International Landslide Research Group, and in 2008 he was awarded the Union Service Award of the European Geosciences Union.